Global leaders and experts are meeting this week to review progress towards Sustainable Development Goal (SDG) targets. 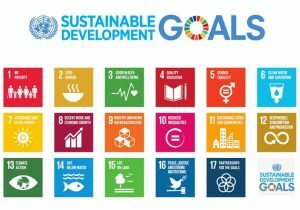 The Sustainable Development Goals are a set of 17 goals, developed and adopted by countries, aimed at ending poverty, protecting the planet and ensuring prosperity for all. Each goal has specific targets to be achieved over the next 15 years. SDG 3 aims to ‘Ensure healthy lives and promote well-being for all at all ages’, and one of the targets is to achieve universal health coverage (UHC). According to the World Health Organisation, UHC includes the full spectrum of essential, quality health services, from health promotion to prevention, treatment, rehabilitation, and palliative care. “Palliative care is an essential, defining aspect of UHC. People who need palliative care (both children and adults) have some of the highest health needs and households can be forced into poverty by paying for unnecessary, expensive and futile treatments. The availability of palliative care has been shown to reduce household poverty by reducing unnecessary expenditure on health, enabling people affected (including carers) to work as well as improving quality of life”. Experts in palliative care are attending the conference to ensure that this crucial aspect of universal health coverage is not neglected. They will advocate for palliative care to be included in all countries’ health plans and budgets.